Doesn’t this image just scream “literary occult thriller about a man from a dysfunctional family who might be haunted by the ghost of a missing relative”? Well, actually, it kind of does, now that I put it that way. Huh. Before you start writing any screenplay, make a playlist of music that feels like the movie. It’s a fundamental part of my process. Read the full post to learn more about why August thinks a custom-designed, project-specific playlist is so helpful for writing. It sounded like a good idea, but as with so many good-sounding ideas I’ve run across, I didn’t do anything about it. The composer Igor Stravinsky did the same thing every morning when he entered his studio to work: He sat at the piano and played a Bach fugue. . . . A painter I know can’t do anything in her studio without propulsive music pounding out of the speakers. Turning it on turns on a switch inside her. The beat gets her into a groove. It’s the metronome for her creative life. More good advice. Did I follow it? Of course not. About a year after I read Tharp’s book, I left behind eleven years of freelancing to take a full-time job that required me to make a forty-five-minute bus commute to work. At first I was scared that my new work situation would compromise my writing, but I resolved to find a way around that by turning my commutes into writing sessions. I bought a MacBook Air—the lightest, thinnest laptop on the market at the time—because I didn’t want excess weight or bulk to dissuade me from bringing a computer on the bus. Then I got a laptop-friendly messenger bag that would also accommodate my lunch and a collapsible umbrella, and I was set. I’ve always preferred to write while listening to music, and my bus writing sessions were no exception; but I soon learned that I was going to have to change my writing-music tastes. Until then I’d always listened to something quiet and meditative while writing, such as Miles Davis’s Kind of Blue or Brian Eno’s Apollo: Atmospheres and Soundtracks. Unfortunately, those albums are too quiet for a typical bus ride, where the rumble of the engine, the noise of other vehicles, and the sound of passenger conversation can easily overpower ethereal music that makes you feel like you’re floating in space. When I worked as a freelancer, I discovered the joys of Internet radio, particularly SomaFM, where I found lots of new music that I still enjoy today. I started trying out some of my Soma music to see what might prove suitable for my new writing routine. After some trial and error I decided that a Scottish electronica band called Boards of Canada was just about perfect. Their songs had no vocals, other than brief, isolated dialogue samples. The music was mostly electronic and highly atmospheric, but it was usually paced at an amiable midtempo speed, often with hip-hop-flavored beats woven through interesting textures. I didn’t like any of their albums in their entirety, though, so I wound up making a cherry-picked playlist that was long enough to carry me through the entire bus ride and then some, such as when a wreck snarled the interstate. That Boards of Canada playlist is what I listened to for the entirety of the four years and nine months I spent working on my novel Blood Family, from the initial skeletal story-beat outline—written by hand, in pencil, as bullet points on a yellow legal pad—all the way through final upload of the fully typeset pages for the print edition. That playlist got me through initial excitement, recurrent terror, exhaustion, self-doubt, excitement again, flashes of hubris, fantasies of success, certainties of failure; bad weather, bad traffic, bad writing; the years that came and went like signs on the highway, each one flashing a question: Aren’t you done yet? Now that the answer to that question is finally Yes, people ask me: How did you make yourself be creative on demand like that? How could you just get on the bus, sit down, and start writing? And now I realize it was because, almost accidentally, I applied the advice of John August and Twyla Tharp. I didn’t exactly follow August’s advice to create a soundtrack that felt like my novel, but it didn’t take long for my Boards of Canada playlist to become very strongly associated with the novel in my mind and emotions. The sound of that music became the sound of me working on my novel. And, as Tharp had advised, my writing routine became a ritual: I would get on the bus, choose a seat, sit down, and set my bag on the floor beside me; pull out my laptop in its neoprene sleeve, take the laptop out, put the sleeve on my lap, and set the laptop on top of the sleeve; open the computer, turn it on, open the novel file, put in my earbuds, plug them into the sound jack, and start the playlist. The music pulled me into another world, the world of Blood Family, and my fingers started flying over the keys, or else I sat and stared out the window as I thought, or I used the bus’s WiFi to do research about Tarot cards or African folklore or Renaissance alchemists, and the ride passed like a dream from which I hated to awaken. All preferred working states, no matter how eccentric, have one thing in common: When you enter into them, they impel you to get started. . . . It’s Pavlovian: follow the routine, get a creative payoff. She’s right. So in response to a suggestion from a wise counselor, I thought I’d recreate my Blood Family playlist on Spotify for those of you who want good music for creating or reading or just chilling out. If you like what you hear, you might want to check out Boards of Canada’s newest album, Tomorrow’s Harvest, which I do like in its entirety—and which I’ve already decided will be the soundtrack for the writing of my next novel. If a Book Falls in a Forest and No One Is There to Review it, Does it Make a Sound? In the future, print books will only be made of “free range” paper taken from unfarmed trees that have died a natural death, like this majestic beast. Regrettably, a book will cost as much as a Rolex, but paper money will have been abolished too, and we’ll just buy things by scanning the Mark of the Beast conveniently tattooed on our hands and foreheads. When you self-publish your novel, you discover that writing the book is the easiest part of the process, no matter how hard it is or how long it takes (four and a half years, in my case). Why easiest? Because it’s the only part you have total control over. You can’t guarantee that anyone will buy, read, or like your book, but you can guarantee that you at least get the damn thing written. Then comes the fun and excitement of marketing your novel to the public! For the longest time I had a visceral negative reaction to the word “marketing”; when I heard or read it I would wince as if I was smelling a particularly vile fart. Marketing had a bad ethical odor, and I wanted no part of it. Then my friend Krista Bremer—author of A Tender Struggle and associate publisher, marketing and circulation for The Sun magazine—gave me a different perspective on the concept. I’d never thought of marketing this way before, but Krista’s description of it instantly made sense to me because I faced the same issue when I was a freelance editor. An editor’s main job is to make other people look good, but he can’t do that for you if you don’t know he exists. I tried various schemes to get my name in front of people—never very effectively—and now I’m in the same boat again, but with a novel. Marketing a novel is both harder and easier than marketing professional services: harder, because you’re selling a commodity in a marketplace absolutely swamped with that very commodity; and easier, because a great marketing opportunity is built right into the market’s normal activity. I’m talking about reader reviews on sites such as Amazon and Goodreads. Reader reviews obviously help when they’re good, but they also help just by serving as proof that someone has read your book. “Reviews on [Amazon] can give your book legitimacy, make you look popular (or not), and tip the scales for buyers browsing your page,” says book coach Brooke Warner. That appearance of legitimacy primarily stems from the number of reader reviews a book has garnered. This is especially true for self-published books, which have a very low bar to clear in order to enter the market. The more reviews a self-published book has, the more it seems like an actual book that might be worth actually reading. The results of an Amazon search on “supernatural thrillers” (my book’s genre, more or less), sorted by relevance, show books with 429, 89, 39, 60, and 105 reviews each. The same category sorted by average customer review shows books with 120, 86, 79, 75, and 1,435 reviews (that last one was The Green Mile by Stephen King). And this is where you see my lack of marketing acumen: my book only has three reviews. They’re all very positive reviews, mind you, and I’m deeply grateful to each reader who has taken the time to write and post a review. But when you compare my book to its peers, you see that one of these things is not like the others, as Sesame Street used to sagely observe. So here’s where I have a favor to ask of some of you. If you’ve read my novel Blood Family and you haven’t posted a review of it, would you mind doing me a solid and popping over to my book’s Amazon page to post an honest review? If you didn’t buy it on Amazon (which includes CreateSpace, Amazon’s self-publishing arm for print books), then you could post a review wherever you did buy it (links to other marketplaces are at the bottom of this page). And no matter where you bought it, you could post a review on Blood Family‘s Goodreads page if you’re into the Goodreads thing. Many thanks, my friends, for helping an inept marketer become a little more ept. A discerning literature fan listens with bated breath to my mellifluous voice reading the next gripping chapter of my audiobook. A while back I said I was going to research what it would take to publish an audio version of my novel, Blood Family. I didn’t say that because I like audiobooks; I’ve only ever listened to one (David Lynch’s Catching the Big Fish, which I do recommend), and I’ve never bought an audiobook, either. If I had a car commute to fill every day then I might listen to them more often, but my bus commute to work and back is always taken up with my own writing. Otherwise, if I want to read something, I want to read it, not listen to it. But the experience of publishing my novel has taught me that people are very picky about their reading methods. Which is their right! ‘Merica, freedom, etc. For instance, when I published my book, I released it as an e-book first because that was the easiest format to publish. Ease notwithstanding, I was pretty damn proud of myself just for getting the damn thing written and for putting it out in the world. Yay me! But right away—and I mean on the morning of publication day, before lunch even—people said things to me like, “Congratulations! Wait. You mean it’s not a book book? Well, I want to read it, but let me know when the book comes out.” By which they meant the print book. I did not let myself sigh gutturally. I did not let my shoulders droop to the floor. Instead I kept my face and voice robotically neutral as I said, “Do you commute to work every day?” He did, and of course that was when he did most of his reading, via audiobooks. This was how I found out that there were people who prefer audiobooks just as fervently as those who only read e-books or only read print books. But surely there weren’t that many of these spoken-word fanatics, right? Then another friend told me that even though he preferred e-books, he wouldn’t buy one from Amazon unless it could come bundled with an audio version too. He would read e-books during the day and then sometimes would switch to the audio version at night, in bed, where he’d pick up where he left off and read before he went to sleep. I had discovered another type of audiobook consumer: it wasn’t his preferred format, but it was still a precondition for the purchase of an e-book. So I gave up and decided to be cheerful about it. An audiobook! Great! After all, how hard could it be to produce an audiobook? I’m a pretty good reader, always have been, ever since the fifth grade, when I was the one who usually got called on to read out loud from The Lion, the Witch and the Wardrobe. I would read the book myself and find some audiobook publisher that would publish and distribute it for no money up front and a cut of the sales, like Amazon does with e-books and print books. No, that’s not my projected royalties in the first year of sales. That is the price they quoted me for what they would charge to record, produce, and edit the audiobook of my novel—and that’s with me doing all the reading, you understand. They estimated that the reading would take about 40 hours of studio time, when meant I would have to take at least a week off from work, and probably two weeks. Although I could get an actor to read it for a measly $1,500 more! Which, let’s be honest, is a very good deal compared to the overall cost. As it turns out, contrary to my high hopes, this publisher doesn’t do the no-money-up-front-in-exchange-for-a-cut-of-sales thing. They do the you-hire-us-to-perform-a-service-and-provide-a-final-deliverable thing. And who can blame them? It’s a solid business model. I’d love to hire them. I’d love to have $5,000 or $6,500 lying around that I could just turn into an audiobook version of my novel. But, as my former restaurant colleague Eddie—a gruff, formidable Mexican dishwasher—used to say, when I asked him for more platos medianos but he didn’t have any, “No gottie.” I do have some sales from my book, but not nearly that much—not yet, anyway. So I have not yet solved the audiobook problem, but neither have I given up on it. If anyone out there is sitting on a pile of gold krugerrands that they don’t know what to do with, or if you have a fully equipped professional recording studio complete with a sound engineer who’s kind of bored and lonely and would love to hear a nice guy read a good book, you know what to do. The Lottery Office. h/t Flickr user Arralyn! Preach, sister. And I would expand upon her answer by noting that for a self-published author the task is even harder, because once you’ve written this most difficult of all things to write, you have to turn around and become a publisher, and perhaps a typesetter and graphic designer too. And that’s just to get the damn thing out the door; then, if you want sales above the single digits, you’ve also got to become a marketer. That’s the phase I’m in now with my novel Blood Family. I’ve written it, I’ve typeset it, a fabulously talented graphic designer created the cover, I’ve published it in two formats on more than half a dozen sales channels, and now it’s time to try to market it. But how? There are entire blogs about marketing self-published books, so I won’t dive deeply into that topic here. I will say that last year I became fascinated with the story of how a first-time author landed a major book contract and film deal by self-publishing his novel first. I was expecting a one-word answer, but he wanted to know everything about it before I built it. But Dad, where is it from? What does it do? Can it fly? He wanted a backstory, and I didn’t have one, so I told him I’d think about it. A few days later, we were watching Grendizer, a Japanese anime about a giant robot from outer space—like any bad parent, I made my son watch shows I liked as a kid—and I asked myself what it would be like if it happened in real life, if we found a giant artifact from an alien civilization. I started writing. After Neuvel finished writing his novel, he spent six months sending queries to more than fifty literary agents asking them to represent it for potential sale to publishers. “Most didn’t answer,” he said. “All of those who did turned me down.” So he decided to self-publish his novel, but even so, he wanted to give it something extra to help it rise above the sea of self-published books released each year. If you don’t already know, Kirkus is a respected book review organization, like Publishers Weekly. A good review from either one of those places can make a big difference in a book’s fortunes because it functions as an imprimatur of quality. We somehow don’t think a book is a “real” book unless its cover quotes a positive review by some trusted or authoritative source, such as Kirkus, Publishers Weekly, a big-city newspaper, or a successful author. Books published by major publishers or even small presses can get these cover blurbs far more easily than self-published books can. Kirkus, however, offers self-published authors a way to get a good review quote on the cover—if you’re lucky. For a mere $425, you can pay Kirkus to review your book. Let me answer the obvious question right now: you are not buying a positive review. If you don’t believe me, you can read some of the reviews that self-published authors have paid Kirkus for. My favorite negative review on that page says: “An incoherent work that may be particularly unpleasant for animal lovers.” Ouch. Not only is that a negative review, but the author paid $425 for it. If you get a negative review through this program, you’re out the money you paid, but the consolation prize is that you can ask Kirkus to bury the review, and it’ll never see the light of day. (I don’t understand why the author of the “incoherent work” mentioned above didn’t choose that option, but that’s their problem.) The hope, of course, is that you’ll get a positive review that you can quote on the cover of your book and elsewhere, helping you gain the attention of the book-buying public. That’s what happened to Sylvain Neuvel—in spades. “I got a great review, a starred review, and the month that followed was the craziest of my life,” he said. (Kirkus designates books of special merit by placing a star next to the review.) Hollywood movie producers started emailing him the day the review came out, and within a month he had a film agent, a literary agent, and a two-book contract with a major publisher, in addition to selling the film rights to Ridley Scott, director and producer of the Alien films. Pretty good return on his investment, right? So good that it made me wonder whether I should get a Kirkus review too. I thought about it and thought about it and thought about it, discussed it with my wife, did some research on it, thought about it some more, and after consulting an oracle (more on that in another post) I decided to go for it. Went to Kirkus, created a profile, uploaded the files, entered the credit card number, clicked Submit. Shook head. Tried to think about something else for the seven to nine weeks it would take to get my review back. But it only took about six weeks for me to receive an email from Kirkus with the subject line “Your review is ready to download.” Instantly my heart and temples began pounding, and my palms grew slick with sweat, and I thought about those psychology experiments where they determined that any emotional response is heightened when your nervous system is already ramped up, and I knew that if I read a bad review in that hyper-aroused state, I would be absolutely devastated. So I closed my eyes and pushed myself back from my computer and slowed my breathing, and I reminded myself that no matter what this review said—good, bad, or indifferent—it was only one moment in a writing career with many years left in it. I repeated that to myself over and over until my temples weren’t pounding quite as hard, and I felt ready to open the email and read the review. Fantasy and horror blend in Winter’s debut novel about a man who discovers his family’s links to the supernatural. … Overall, this novel has a lot to recommend it, especially its complex set of characters, including protagonists and antagonists who provide clear context to Alex’s life and to the more fantastic elements of the story. The prose is clear and crisp throughout but never rushed, giving the tension plenty of time to build. Winter also makes sure the emotional elements of the story—fear, grief, uncertainty—fully hit the reader. … A clever, engaging view into dark places. E-book formatters hard at work in an Amazon sweatshop. Amazon has taken a lot of abuse in the publishing world, and with good reason. Amazon uses their marketing clout to force publishers to lower their prices, thus reducing authors’ income; they make it harder for independent bookstores to remain in business; their warehouse employees work at extremely high speeds in brutal heat; and whenever you buy a book on a Kindle, you don’t own it in the same way that you own a physical book, because Amazon can delete the book or suspend your account at any time, as a number of users have discovered. But, in fairness to Amazon, all warehouses are brutally hot in the summer, with punishing productivity quotas. My father-in-law used to be a warehouse manager for a retail chain, and he told stories about workers narrowly avoiding being crushed by tall columns of boxes toppling in the aisles because the cardboard softened in the heat. He used to say that anyone who was still working in a warehouse at age 30 was an “old, old man” in warehouse years because of the physically demanding work conditions. In addition, the ephemerality of Kindle books applies to many kinds of downloadable online purchases, such as apps and music. Many of the “Buy” buttons you see online really ought to say “Buy a conditional license for use,” according to one tech writer, but that’s a change that should be made across a vast swath of online sales activity, not just Amazon. Amazon isn’t inherently evil for using their market size to get their way—that’s a feature of capitalism in general, not of Amazon in particular—but when Amazon’s successes hurt independent bookstores, it becomes a question of what kind of world you want to live in. I always want there to be independent bookstores, so I continue to patronize them. But I also share one car with my wife, and I ride a bus to and from work, and I don’t get home until later in the evening, all of which means I can’t hop in the car and drive to my nearest bookstore whenever I feel like it. Also, if we’re talking about driving a car to go buy a book, a 2009 study by Cleantech found that e-books tend to have a much lower carbon footprint than print books. This is especially true for books bought at a bookstore, because 25-36% of all books offered for sale in bookstores don’t ever get sold, which means they’re returned to the publisher and destroyed. The additional costs of shipping and destroying unsold books are baked in to the U.S. bookstore business model, meaning that every book you buy from a bookstore carries an additional carbon load beyond its own. So, as a reader, I generally prefer e-books to print books, not only for carbon reasons but also because I relish the lightness and convenience, the searchability, and for nonfiction, the ease of highlighting and taking notes. But one thing I love about shopping for print books in a bookstore is the ability to take a book off the shelf and read the first few pages, to see if it grabs me. At that point I already have an idea of what the book is about, based on the cover art and copy, so when I read the first few pages I’m tasting the book’s prose style. Does the author use apt word choices, solid nouns, evocative verbs, nimble sentences, illustrative metaphors? Are scenes and actions clear? Is dialogue convincing? Does the style fit the subject matter? And above all, is there something fresh and original about these sentences that pulls me in and makes me want to read more of them? This is where Amazon’s “Look Inside” feature comes in so very handy. From my own desk, or the bus (the GoTriangle buses I ride on my commute have WiFi), or anywhere else that I have Internet access, I can click on a book and start reading to see if it pulls me in. Regrettably, no such feature exists at IndieBound.org, the website and marketplace of the American Booksellers Association (the nonprofit trade association for U.S. independent bookstores). IndieBound.org does have a way to buy e-books from your local bookstore through the Kobo e-book platform, which offers book previews comparable to Amazon’s “Look Inside” feature; but not all independent bookstores participate in that program, and none do anywhere in my home state of North Carolina. So what’s a picky, pro-small-business, environmentally conscious reader to do? More to the point, what’s a self-published author with all those traits—like, say, yours truly—to do? The whole point of writing a book, at least for me, is to have people read it. And one thing I’ve learned from working in communications and marketing for the past five years is that if you want to reach an audience, you have to reach them where they are, not where they’re not. If they’re buying e-books from Amazon, you need to sell e-books on Amazon; if they’re buying print books from independent bookstores, you need to sell print books through independent bookstores; and so on. And that’s what I’m doing. 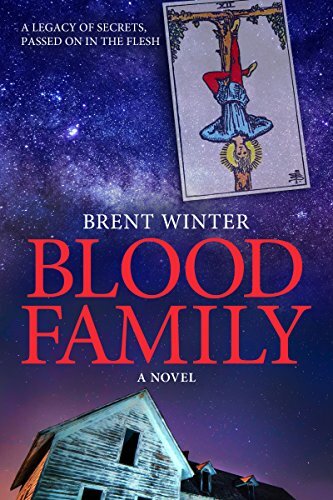 As of now, you can buy my novel Blood Family in both print and e-book formats from both Amazon and non-Amazon sources (see the links below). That leaves audiobooks as the last frontier for this book, and I’ve already begun the research to see what it would take to make that happen. In the meantime, enjoy either the pages or the pixels of your preference. Photo: Chris Breeze (Creative Commons-attribution), weirdness added by me. The second time I thought my head was going to pop occurred in the final week of 2016. I was in my kitchen, innocently doing dishes, when my wife, Angela, returned home from running some errands and said, “Have you seen this week’s Indy Week? The ‘Best of 2016’ issue?” She was peering at something on her phone as she said this. “I’ve seen it,” I said, “but I haven’t read any of it. Why? Is Therese in it?” I was referring to my friend Therese Anne Fowler, author of the novel Z, which Amazon is developing as a TV series starring Christina Ricci in the title role of Zelda Fitzgerald. The trailer for Z‘s first season had just dropped and was getting huge amounts of attention, and I thought maybe the Indy had covered it. Right away I felt as if a band was tightening around my temples, but from the inside, which makes no sense. I read the little blurb about my book, and the sensation intensified. I’ve been alone with this thing for so long now that it feels really strange for the novel to get any attention at all, much less such positive attention; strange, but very, very good. Many thanks to Indy writer Samuel Montgomery-Blinn for the shout-out! It’s been a long time coming, but at last all my friends and acquaintances who said to me, “I just can’t enjoy a novel unless it’s been printed in ink on thin sheets of mulched, bleached pulpwood fibers” are in luck. My novel Blood Family is now available in a print edition from CreateSpace. My CreateSpace e-store page doesn’t have the snazzy “Look Inside” feature that the Amazon store has, but if you’d like to read the first three chapters of the novel, you can download a PDF here. The book is also available through the main Amazon site (CreateSpace is a subsidiary of Amazon), although the author royalties are much higher for sales through the CreateSpace site than for sales through Amazon proper. I guess someone’s got to pay for that snazzy “Look Inside” feature, huh? If you’re thinking about self-publishing a print book or e-book for the first time and you have a question about what’s involved, please send it to me so I can write a post about it. There was a fairly steep learning curve for the e-book and an extremely steep curve for the print book—and I didn’t even do the covers—so I plan to write future posts about what I’ve learned in case anyone out there can make use of the information. One thing I’ll say is that doing all this myself (except for the covers) has given me a tremendous sense of ownership over the book. Each new step, each new iteration has made it feel more and more like mine. The more work I put into making this thing real, the more I feel as if I’ve truly created it. Oh, and if you’re someone who wants a print book but doesn’t like buying from Amazon, I have a non-Amazon print book on the way as well. That edition will be available from IngramSpark, the self-publishing subsidiary of the Ingram book distribution company. If I’ve understood everything correctly, once the Ingram book is live, you should be able to order it from any bookstore that gets its books from Ingram, which is virtually every bookstore in North America and many more all over the world. Then the only thing left for me to do will be to create the Matrix stream of the book, which you’ll download directly into your cerebral cortex for a vivid first-person experience of the narrative. Well, that and the audiobook. Then I’ll be done with all the publishing . . .
. . . and then it’s on to marketing! But that’s another post or fifteen. For now, print book. If you’re a page-flipper, your time has come. I miss those old console stereos; don’t you? Just the sight of one makes me want to go fix Mommy a drink and bring it to her with her cigarettes and lighter, as I used to do back in the heady days of unrestrained excess known as the 1970s. But I digress. I came here today to tell you that my own voice recently issued from just such a contraption when I appeared on Carolina Bookbeat, a talk show on radio station WCOM-LP FM 103.5. The show’s host, Samuel Montgomery-Blinn, and I discussed dysfunctional families, the metaphysics of the supernatural, and how not to find a literary agent (a topic on which I am now an expert). 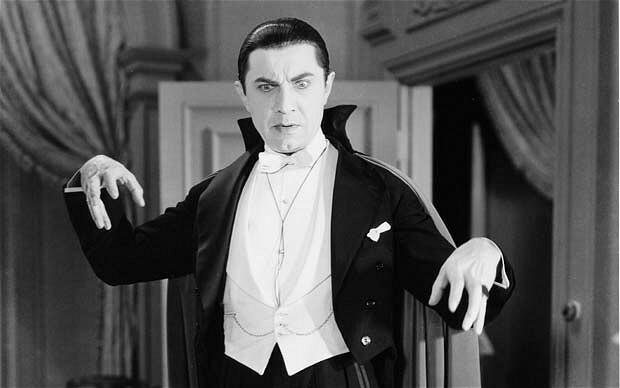 I also read an excerpt from chapter 1 of my recently published novel, Blood Family. The episode is available here as a podcast, so now’s a good time to put up your feet, crack open a Boone’s Farm Strawberry Hill, light up a Virginia Slim menthol, and enjoy.